Public Health England (PHE) has published an addendum to the community pharmacy Flu Vaccination Service 2018/19 Patient Group Direction (PGD). •For pharmacists to re-vaccinate patients who have received an incomplete dose of vaccine, for example, if some of the vaccine was spilled in the process of administering the vaccine. This addendum is in line with the recently updated PHE Inactivated influenza vaccine guidance for healthcare practitioners, which explains the process to follow if a patient has inadvertently been given a flu vaccine that is not recommended for their age group. Do I need to sign the addendum? No. Pharmacists are not required to sign the addendum, but it is important that they are aware of it so, if either of the above circumstances occur, pharmacists are aware that the PGD allows them to re-vaccinate a patient. Do I need to print a copy of the addendum and attach it to the PGD? Contractors/pharmacists are strongly encouraged to print a copy of the addendum and attach it to the PGD in the pharmacy to ensure that new pharmacists signing up to the service are made aware of the addendum. What should I do if I have inadvertently given a patient a non-recommended vaccine for their age group, for example, I have given a 65 year old patient the QIV instead of the recommended aTIV? •If a decision is made to offer the vaccine the patient should have received, it is recommended that this is done as soon as possible after the first dose was given and ideally within a week. This will enable protection to be made as soon as possible. It can, however, still be given if more than a week has elapsed. You will be aware that we have been experiencing technical problems over the weekend and today which have affected the performance of PharmOutcomes. Users were previously unable to access postcode look-ups and CPPE enrolments and there was also a delay in messages being sent. We have now established that these problems were caused by technical changes made by our hosted service provider. These have been reversed and these services are now operational again. Unfortunately we are still experiencing general performance issues. These are leading to a slow performance of PharmOutcomes and in some cases are affecting incoming referral messages because the response notification “times out”. We will continue to work on the problem but do not expect to be able to resolve things fully today (Monday). We will provide a further update at noon tomorrow or as soon as the problem has been fixed. In the meantime, please accept our apologies for the current service levels. Due to the the technique issue with Pharmoutcomes, please be aware that it is possible to submit a claim twice if the system is slow. Look-ups to the CPPE website during enrolments to services. We are working to establish the cause of the problem and will provide an update as soon as we have further information. Over the last few days, PSNC has received many queries from contractors relating to the ordering and appropriate use of adjuvanted trivalent influenza vaccine (aTIV) and in what exceptional circumstances quadrivalent influenza vaccine (QIV) may be used in patients 65 years and over. On Monday, we published a Briefing which summarises the different documents and news stories relating to the use of aTIV that have been published by NHS England, Public Health England and PSNC. The Briefing also explains what pharmacy contractors should do if they have no aTIV available, either temporarily or because they have been unable to obtain any aTIV for the 2018/19 flu season. We strongly recommend that all pharmacists providing the flu vaccination service read this briefing. The advice on vaccinating patients aged 65 years and over remains: no vaccine other than aTIV (Fluad) should be administered at this point in the season*. Where despite this advice, a contractor seeks reimbursement for vaccine other than the recommended vaccine choice, NHS England may make enquiries to understand how the evidence of clinical efficacy of aTIV and QIV was considered and how the clinical judgement to use the relevant vaccines was reached. * except for patients with an egg allergy. This is an unusual, challenging flu vaccination season with the introduction of adjuvant trivalent flu vaccine (Fluad). Some deliveries have been received so far, many have not, and this places pressure on both pharmacies and surgeries from patients keen to be vaccinated. However, the current guidance – summarised by the PSNC, and attached here- reinforces the message that at this stage of the season it would be inappropriate to use quadrivalent flu vaccine in the 65+ age group. To do so risks both action by NHSE, and may even open a pharmacy – or surgery – to legal action. From the early figures, it is apparent that SOME pharmacies have been vaccinating the 65+ group with quadrivalent vaccine. Please be mindful of the guidance, for your own protection. The relevant section of the PSNC Guidance Flu 201819– please read it carefully. You may also be aware that there is the option to provide domiciliary vaccination this season. If this is something you intend to do, please make sure you have read the National Flu Service Specification carefully, and comply with all the conditions – in particular, a DBS certificate will be required! NHSE are worried about areas where there may be no Fluad available – there is some evidence that there are GP practices not getting any, so they would like to know if pharmacies have theirs sorted. Would very much appreciate you completing this survey if possible – no need for the multiples, the assumption is that they are taken care of. employment sectors- Care Home, Domestic Care and Education . We will keep you updated on when these are being distributed and details of the PharmOutcomes service claim. In light of the General Data Protection Regulations and to facilitate the expansion of the post-payment verification process to cover the Flu Vaccination Service, the consent form and record form have been separated into two different forms for the 2018/19 service. It is therefore important to discard any previously printed versions of the Flu Vaccination record and consent forms from previous years and ensure that the new forms are used. Contractors must use the consent form as detailed in the service specification or an alternative form which uses the same wording and captures the same information as the form set out in the service specification. The consent covers the administration of the vaccine. The form also notifies the patient of the information flows that may take place as necessary for the appropriate recording in the patient’s GP practice record and for the purpose of post payment verification. If a community pharmacy contractor has access to an IT system which allows capture of the data elements within the Patient Consent Form, this can be used to maintain the clinical record for the service, but a printed version of the form will need to be produced from the system to allow the patient’s consent to be recorded in writing. Relevant information from the Patient Consent Form may, on request, be shared with NHS England and the NHS BSA for the purpose of post payment verification. It has not been possible for NHS England to put in place a national IT solution to support provision of the service and electronic notification of GP practices of vaccination of their patients. However in many areas LPCs and local NHS England teams have been able to arrange IT support for the service. Contact your LPC to find out whether that is the case in your area. Community Pharmacy Cumbria can confirm that as last year , entering the patient information on Pharmoutcomes will ensure a notification is sent. NHS England has launched an IT platform to enable patient questionnaires from the Flu Vaccination Service to be completed electronically either by the patient themselves or with help from the pharmacy team. a downloadable copy of the patient questionnaire which the patient can complete in the pharmacy. Contractors can also view, for their own pharmacy, a high-level summary of patient responses on the IT platform. Contractors are encouraged to monitor this throughout the flu season to see how patients are responding to questions about the service being provided. 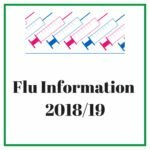 It may also be beneficial to view this after the service has finished on 31st March 2019, so contractors have a high-level summary, for their pharmacy, of patient responses for the Flu Vaccination Service 2018/19. When patient questionnaires are completed on paper, community pharmacy contractors should utilise the functionality available on the IT platform to submit patients’ responses to the questionnaire so that these responses can be collated and analysed along with those submitted electronically. Contractors are reminded that it is a requirement of the service to ask all patients who have a flu vaccination to complete the patient questionnaire. A guidance document on how to use to complete the process is available on the IT platform. Which flu vaccine to give? Uptake Summary Tool – we are only as good as our data! PSNC have just announced that there is to be an uplift for this years flu service along with some improvements to the service. Please see the full announcement below. PSNC has worked with NHS England to agree some key improvements to the community pharmacy Flu Vaccination Service for 2018/19, including an uplift to fees. •The fee for the service will increase to £7.98 per administered dose plus an additional fee of £1.50 per vaccination, making the total payment £9.48. •Contractors can now administer vaccinations in patients’ homes. •Pharmacists need only undertake face-to-face training for the service every three years (this is an extension from the previous requirement for training every two years). •The requirement for contractors to register to offer the service with NHS BSA has been removed. •Payment claims from pharmacies can now be made electronically. The changes are contained within the service specification and the Patient Group Direction, which have been published today. Further details of the changes are available in PSNCBriefing 041/18 – Changes to the Seasonal Influenza Vaccination Advanced Service 2018/19. The service is due to commence on 1st September 2018, subject to amendments to the Secretary of State Directions being made by the Department of Health and Social Care. PSNC will notify contractors when the amendments have been made and the date they can commence provision of the service. Following publication of the service specification and PGD, PSNC has published detailed guidance on the service and has rescheduled the postponed flu webinar. All Cumbria Face to Face flu training is now complete. The NPA are offering refresher training for those pharmacists who do not need live face to face training this year. This is being offered at a reduced rate of £23 plus VAT. If asked indicate your Pharmacy Name then add Cumbria LPC to ensure you the reduced rate. For example TEST Pharmacy – Cumbria LPC. The Community Pharmacy Competence Group (CPCG) has published a new combined Vaccination Services Declaration of Competence (DoC) which is hosted on the Centre for Pharmacy Postgraduate Education website. Previously, there were two separate DoC frameworks for vaccination services; the NHS Seasonal Influenza Vaccination Advanced Service and other locally commissioned Immunisation services; these two have been merged into a single DoC. Pharmacy professionals who will be providing the NHS Seasonal Flu Vaccination Advanced Service and a locally commissioned influenza service will now only be required to complete one DoC. The 2018 National Minimum Standards and Core Curriculum for Immunisation Training for Registered Healthcare Practitioners include the requirement for supervised clinical practice following training and this has been highlighted in the new DoC and statement of declaration. PSNC has published Frequently Asked Questions (FAQs) which explain this requirement in more detail. Q. I have already completed a DoC for the NHS Seasonal Influenza Vaccination Advanced Service 2017/18. Do I need to complete it again? The CPCG recommends that pharmacists revisit their DoCs every two years, so if you last completed the flu vaccination DoC in 2017/18, you would not need to complete the new vaccination DoC until the 2019/20 flu vaccination season. As the new DoC covers all vaccinations, the competency framework should be revisited, and the statement of declaration re-signed whenever a pharmacist starts to offer a service with different vaccines to those that they have previously administered..
Q. 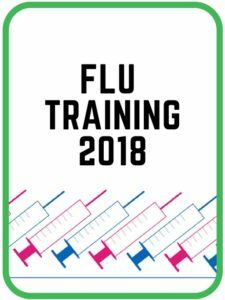 How soon can I complete the DoC for the NHS Seasonal Influenza Vaccination Advanced Service 2018/19? Pharmacists that need to complete a DoC for the 2018/19 flu vaccination season can now start to work through the DoC framework and complete any learning, training and assessment to fill any gaps identified. However, the service documents such as the service specification and Patient Group Direction (PGD) for this service are not available until later in the summer. You will need to read, understand and sign these documents before you sign your statement of declaration for this service. For more information and to access all DoCs, visit the CPPE website.